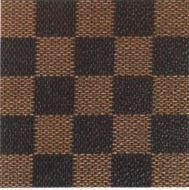 Some of my IP friends are posting today about Louis Vuitton’s loss last week of a trademark fight over its checkerboard pattern in the EU General Court. This was news in Europe when it happened (the IPKat, a great resource for EU IP happenings, reported on it at the time), but it was only picked up on in the popular US fashion press today (here and here and here, for example). LV is a very vigorous (some would say bullying) trademark litigant here in the US. And so there may be a tendency to chalk up this opinion to their pattern of overreaching on substantive trademark law. But it’s always a good idea to read the actual decisions (here and here). Because when you do, a somewhat different picture emerges. In other words, to get community-wide protection a mark must serve as a trademark in every member state, not just a few, or even a majority. This creates a higher evidentiary burden for LV, but potentially not an insurmountable one. It also provides an incentive for manufacturers and merchants not to ignore the peripheral EU countries when marketing their products. It is, in other words, less about trademarks than it is about trade. But in any case, it’s a fascinating issue for those who are interested in the increasing internationalization of IP rights and regimes.